Ships today if you order in the next 13 hours 3 minutes. 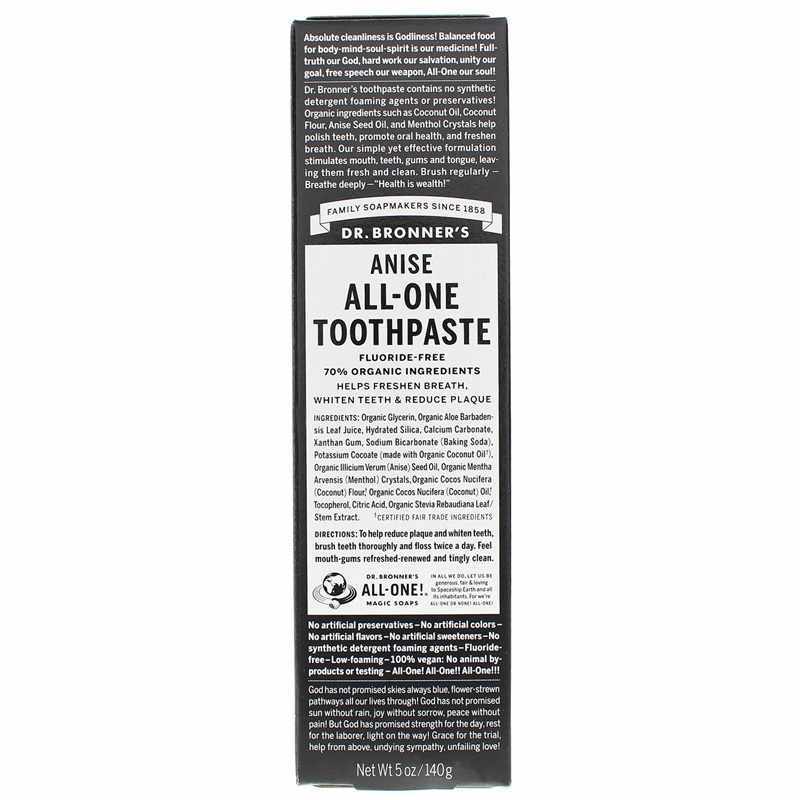 Anise All-One Toothpaste from Dr. Bronner's is a fluoride-free toothpaste that helps freshen breath, whiten teeth and reduce plaque. Contains NO: GMOs, artificial preservatives, artificial colors, artificial flavors, artificial sweeteners, synthetic foaming agents, fluoride. 100% Vegan. NO animal by-products or testing. Heard so much about Dr. Bronner's product selection. Just thought I try out the toothpaste for starters. Delighted with the purchase. Many thanks to NHC company. I really like it! Smooth, minty, but NOT overpowering minty. Leaves your teeth like a dentist clean feeling. 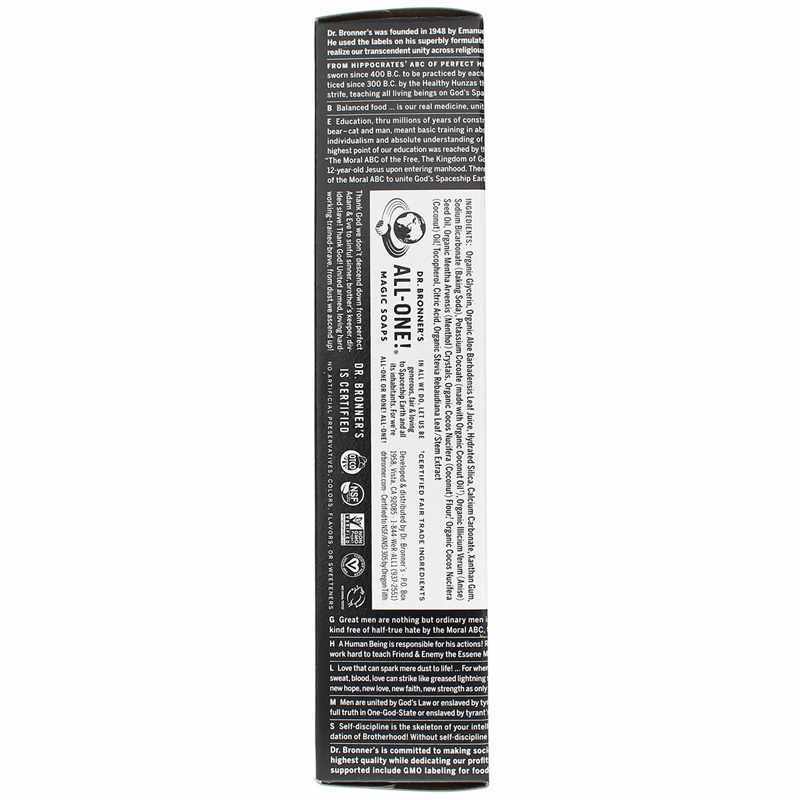 I have also tried Dr. Bronner's all-n-one soap, it's so universal, and lasts a long time, love his products! I like a lot of Dr. Bronner's products, but their toothpaste disappointed me. It does not lather and I did not feel like it cleaned very well.